To test if this LUSH lotion truly helped me to sleep, I borrowed my mum's FitBit to track my sleeping habits with and without using the lotion. To make sure it was a fair test, I kept all the variables the same as much as I possibly could. I went to bed at the exact same time every night, wearing the same pyjamas, after the same evening routine of watching Shameless for an hour before I went to sleep. Before I start to dissect (I'm using all the science lingo today) my findings from the experiment, I'll review the other aspects of the body lotion is the same way as I would any other product. 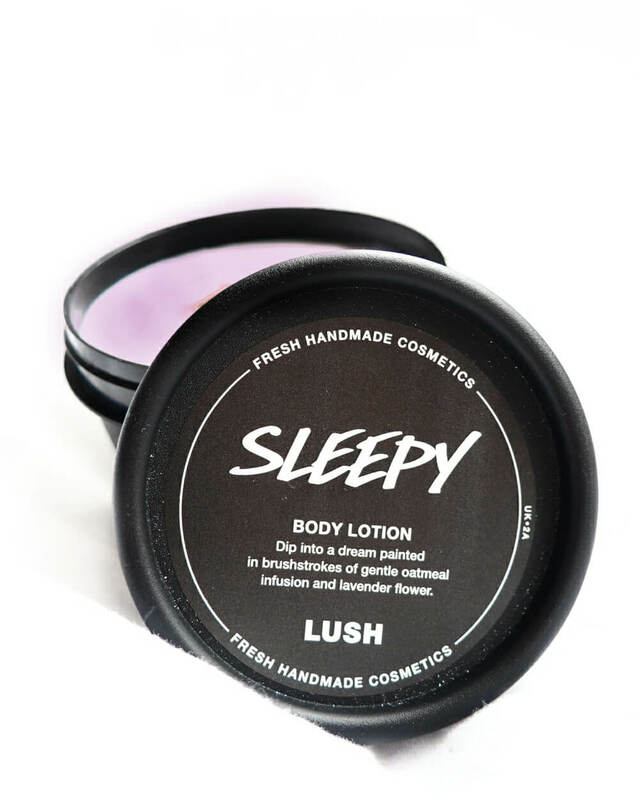 As with most LUSH body products, Sleepy is packaged in one of the regular black, recyclable pots. I absolutely love these pots as not only are they really helping for storing things and mixing hot oil treatments in, if you take 5 back to any store you can trade them in for a fresh face mask. Sleepy body lotion is the most gorgeous, pale lilac colour that looks ever so good in my Instagram feed. I've read reviews whether others have said there is a shimmery layer on the surface of the lotion, but mine didn't seem to have any at all! I'm actually a little gutted about this as 'Snowflake Lustre' is actually listed as an ingredient on the pot, so I wish mine had some. Texture-wise, this body lotion is like very thick, creamy yoghurt. The only other LUSH body lotion I own to compare Sleepy to is The Comforter lotion, and Sleepy is a lot thicker than that. It dries a little sticky on the skin, but is fine when used before bed as I'm not putting any long-sleeved clothes on top of it. I wouldn't use this body lotion in the morning due to how thick it is as it feels quite heavy on my skin. Scents are very important to me, but I tend to only smell what I read on the label. Knowing this product is Lavender and Oatmeal based, that's initially all I could smell. However after handing the pot to my sister with no explanation of what it what or what it contained, she told me it smelt exactly like Sudocrem under the lavender top notes. Now she's said it, I honestly cannot smell anything else. It is slightly headache inducing, and I truly can't decide whether I like the smell or not. I may try Twilight shower gel and see if I prefer the scent from that. So back to the experiment and my findings from it. I discovered that throughout the week that I didn't use the lotion, I slept for 8 hours, 10 minutes, and was awake for one hour on average. The week that I applied Sleepy to my chest, arms, neck, ears and feet, I slept for 8 hours, 52 minutes hours and was awake 34 minutes on average. These findings make it clear that for me, LUSH's Sleepy body lotion really did work in helping me to sleep, so it seems the claims are actually true! I sleep quite a lot anyway, however I definitely noticed how applying Sleepy made me fall asleep much quicker, and I felt like I slept deeper and felt better when I woke up. A winner all round. Have you tried this body lotion? I was not sure whether it was the Placebo effect or something else, but Sleepy has worked so well for me! Glad to see there is actual evidence! I'm so amazed it actually works!! 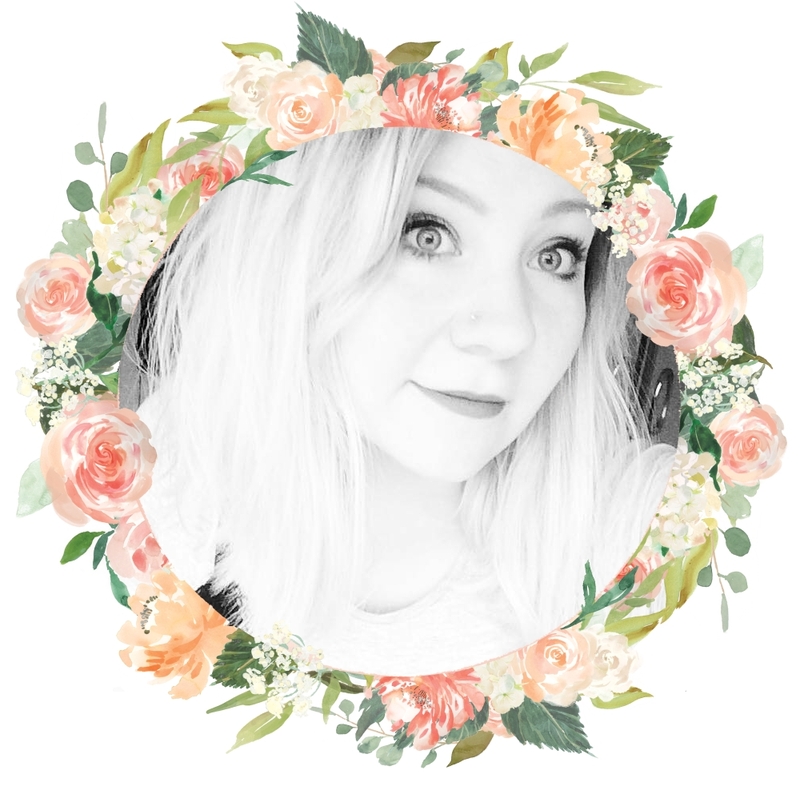 Goes to show that lush can do nice smelling and useful products! OH wow so amazing! And I love how you tracked it with a fit bit! Lush really has some brilliant products! I love that you conducted an experiment in order to test the efficacy of this product. So cool! This is my favourite product which even helps get my kids to sleep. It needs a medal! First I love Lush. 2nd I had no idea about the recycling option. And this review was super on point. i want to try this out. Oh, good for you if you can sleep for 8 hours in a row, that's very healthy. I have some sleep problems lately so I guess I do need this lotion. Thanks for the review.